“$180 million pissed away,” said Rep. Scott Perry, R-Pa.
That is the amount Congress appropriated for the Department of Homeland Security Human Resources Information Technology system improvement, even though DHS estimated it would need only $120 million, according to Perry. Perry tore into DHS officials for mismanaging $180 million from 2005 to 2015, and for failing to provide any information on spending in 2003. He also criticized the team’s lack of uncertainty in completing some Homeland Security IT projects. 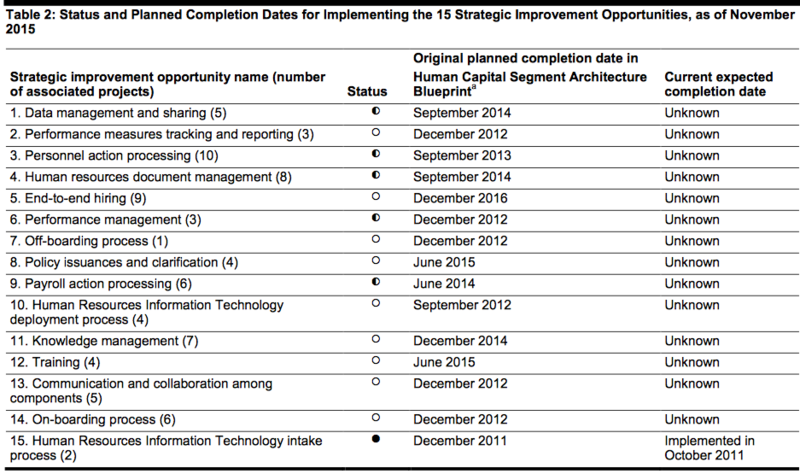 According to the chart below, DHS has yet to make 14 of 15 additions to the HR IT system. Still, one DHS official said DHS did the work but neglected to keep good records of it. “We poorly documented the work we’ve done,” said Chip Fulghum, Homeland Security Deputy Under Secretary for Management.